Our latest photo competition featured 7 cars battling it out for votes to win a set of our wheels. As of yesterday morning, there was only one vote separating first and second place and was a close race from the start right until the very end! But there can only be one winner and that was Chris and his Chrysler 300! Congratulations Chris on an exciting race to win! We were on the edge of our seats the whole time! 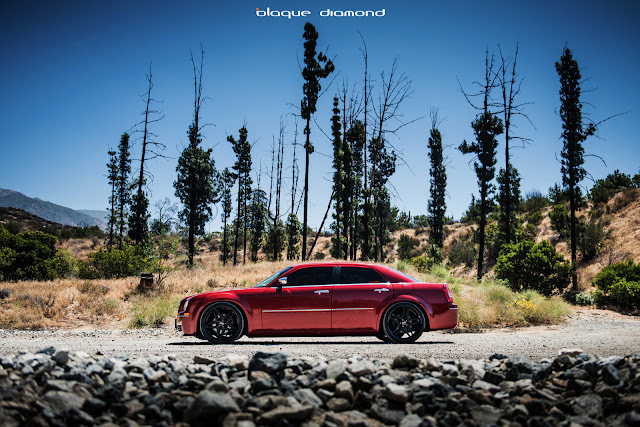 We fitted a set of 22 inch BD-8’s in two-tone matte black to the inferno red Chrysler. ‘Thanks Blaque Diamond for this opportunity. It was a great competition and I’m excited to show off the wheels,’ said Chris. We will be running another competition soon so stay tuned. The BD-8 is offered in two finishes; silver polish and two tone black. The can also be custom colored for individuality. This wheel is available in an array of staggered fitments of 20 x 9, 20 x 10.5, 22 x 9 and 22 x 10.5. 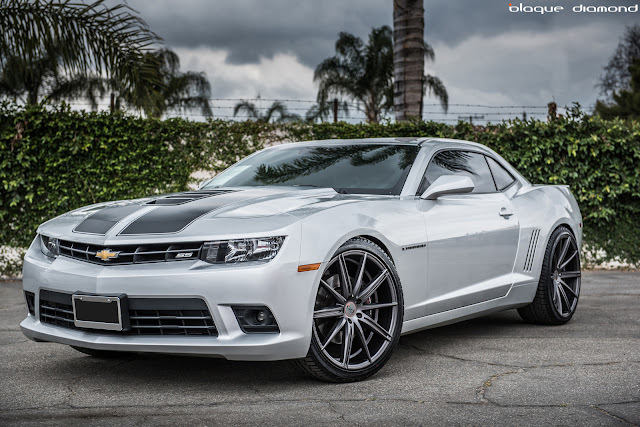 Chevy has an amazing ability to upend the way you see a muscle car. Its big, it’s heavy and is one of the best track focused cars out there. From its menacing front grille and narrow headlights to its muscular rear haunches and twin tailpipes, this Chevy is an image of machismo. The Chevy arrived with the standard 19 inch alloy’s. A pure muscle car deserves a set of wheels to match its masculinity. We fitted a set of staggered 22 inch BD-9’s in matte graphite. After fitting the new wheels, it gripped on the straight-line blasts and around the turns, it grips hard and steers with precision. No Camaro is slow. They are aggressive and have attitude. While this grabs attention alone, after fitting the bigger wheels, it now gets second and third looks wherever it goes. Audi and luxury are two words that go together like peanut butter and jelly. The German carmaker has a knack for producing the highest quality vehicles, and the A8 is no exception. The A8 arrived with the standard 20 inch wheels. We wanted to make the Audi look the part so we added a set of 22 inch BD-8’s in two tone black. The adaptive suspension made it feel like we were driving on clouds after fitting the new wheels. The effortless capability of this luxury sedan made driving comfortable while making sure the rims turned some heads along the way! This is one undeniably sleek and sporty automobile. In 2010, Porsche broke the mold for iconic red, black and gold crest by introducing the 4 door Panamera. This 4.8-liter V8 expels 400 hp and 369 pound-feet of torque. Keeping in line with the sleek styling of Porsche, we fitted a set of 22 inch BD-3’s in matte graphite with machine face. They perfectly complimented the car and tucked tightly to give it a fierce look. 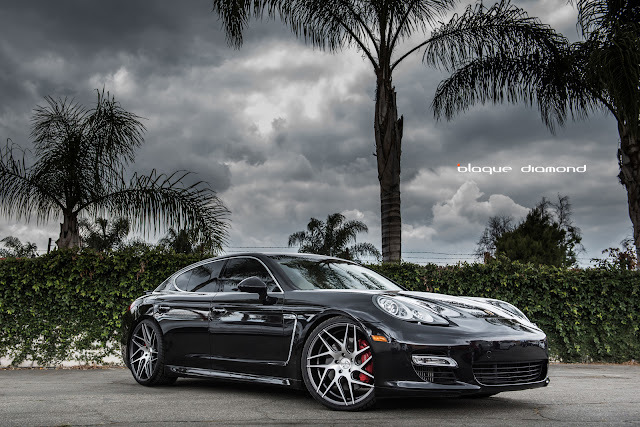 The wheels made the Panamera a highly capable and engaging performance car. Making heads turn is what a Porsche does and with the wheels added, it certainly makes sure this happens every time! The BD-3 wheelis our latest design in the BD Wheels collection. The BD-3 is a twisted mesh design offered in a range of finishes; silver with polished face, full matte graphite and matte graphite with machine face in 19”, 20” and 22” staggered sizes. The 2013 BMW 5 Series remains a leader among midsize luxury sedans as an all-around performer. The 535i gets a 3.0L turbo charges engine and comes standard with 18 inch wheels. We wanted to make this the ‘ultimate driving machine’ so we added a set of staggered 20 inch BD-8’s in silver polish. We cruised over to Malibu and the BMW remained calm and composed on the twisted bends of the Canyon. The wheels griped to the pavement and was surprising quick along the straight. Not only did the BD-8’s enhance the performance, they made the car more aesthetically pleasing both parked on the curb and flying through the bends. 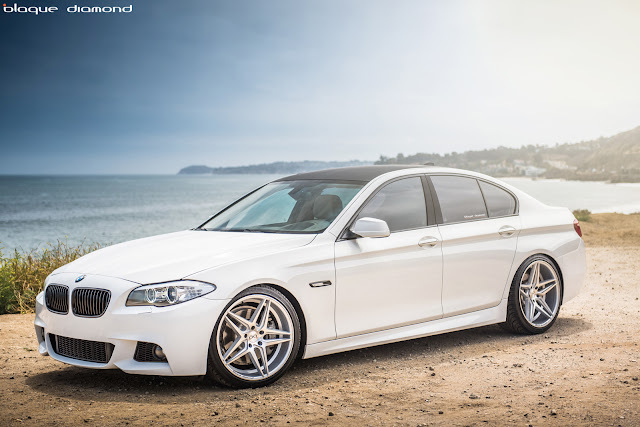 Check out all the pictures of the BMW 5 Series here. The BD-8 wheel is designed to suit most makes and models of cars. They are available in 20 and 22 inch staggered sizes in silver polish and two tone black. The Honda Accord has been a top selling sedan for 30 years now due to mastering the recipe for having loyal customers. This sporty sedan was our final competition entry in our photo contest give away. The standard wheels on the Accord are 16 inch alloy’s. We went big and fitted a set of 20 inch BD-8’s in silver to it. The new rims set the perfect balance between a supple ride and engaging handling and made it well balanced around the tight turns. The silver on maroon really made a striking addition to the Accord and turned a few heads when driving it. 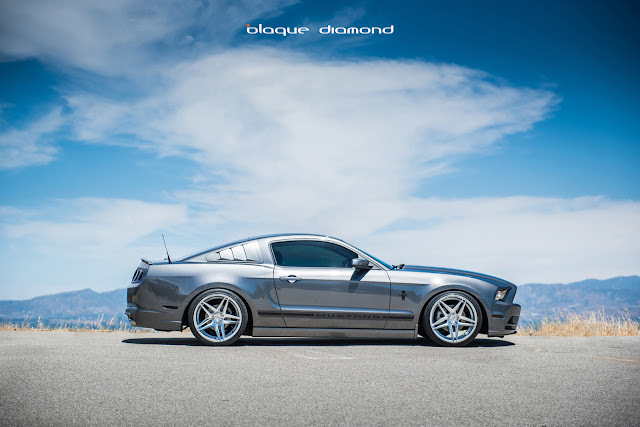 The BD-8’s are one of the latest edition to the Blaque Diamond Wheels collection and are offered with a unique finish of matte black center with a gloss black lip and silver polished in 20” and 22” staggered sizes. The 2014 Ford Mustang delivers some of the best performance-car bang for the buck, all with a level of sophistication that's surprising given the brash sound and classic looks. The iconic pony car is a favorite amongst muscle car lovers and we couldn’t wait to fit a set of our wheels on it.Nick was an entry in our photo comp and we fitted a set of 20 inch BD-8's in silver to it. The Mustangs definitely live in the present, with its powerful engine, special editions and now with a set of 20 inch BD-8’s! The Mustang now has confident handling and shows true sports car finesse that is rare in these. Check out all the photos of Nick’s Mustang here. The BD-8 is offered in two finishes; silver polish and two tone black. This wheel is available in an array of staggered fitments; 20 x 9, 20 x 10.5, 22 x 9 and 22 x 10.5. Call 818 362 2250 or email info@bd-wheels.com to order yours today. It’s only happened a few times in Mustang’s 50-year history. The Mustang has been completely resigned making it a meaner muscle car like never before. 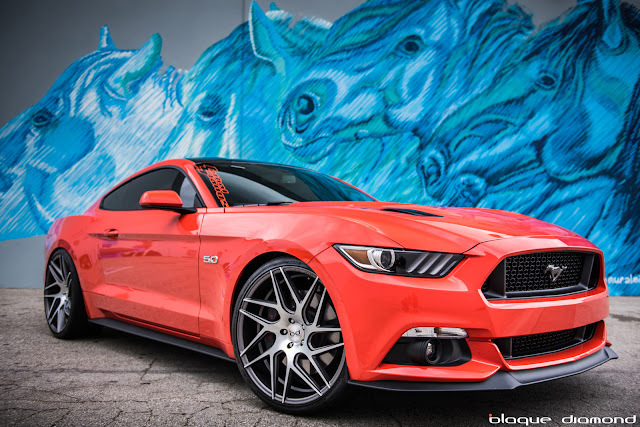 Carlo and his 2015 Ford Mustang were an entry in our recent photo comp. We fitted a set of 22-inch BD-3’s in graphite machine faced. One of the Mustang’s newest features is the independent rear suspension. Combining this with the set of 22 inch BD-3’s they gave the Mustang power like a champ along the straight and and gripped like a pro around those feisty corners. The graphite machine faced wheels perfectly compliment the Mustang and make it an eye catcher on the roads. The twisted mesh design of the BD-3 is available in 19, 20 and 22 inch sizes. They are available in a range of colors including; silver polished, graphite machined, all graphite and custom coloring is optional.